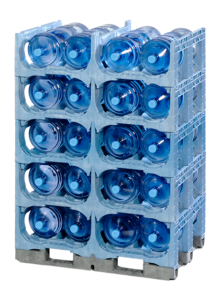 When you need bottled water storage racks that will increase your efficiency and boost your bottom line, PSI delivers with ProStack stackable bottled water racks. 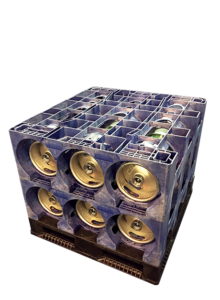 Cost-efficiency is why ProStack Modular Rack Systems are replacing traditional metal bottle racks all over the world. 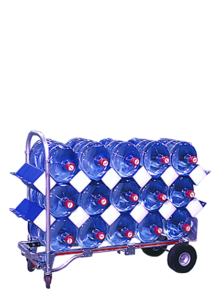 These traditional metal modular bottled water racks were bulky, heavy and easily damaged. Think about the extra money lost in replacing these metal racks, using extra gas to transport the heavier loads and trying to get them in and out of parking structures, transit centers, factories and destination structures. At PSI, we offer ProStack racks as your best replacement for traditional metal models. 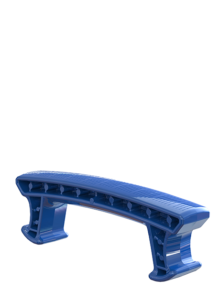 Our plastic bottle water rack solutions include a range of options that ensure you can find a model that meets your needs. We also offer custom design and production for organizations that need a unique plastic bottled water rack for their type of work. ProStack racks are fully reusable and fully recyclable. You enjoy added value as these durable 5-gallon water jug racks go to work on trip after trip, delivery after delivery. 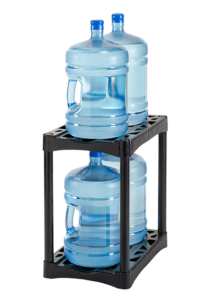 When your stackable bottled water racks reach the end of their usable lifespans, PSI will buy them back from you. It’s important to us that each plastic bottled water rack stay in circulation and find new life as a new product that can help your organization. This is all part of our commitment to sustainability. Our goal is to help you maximize efficiency while minimizing your impact on the planet. We can help by providing sustainable modular bottled water racks that deliver superior performance to the old metal racks of yesteryear. And we can also help educate your team or decision makers about the cost savings you’ll enjoy when you choose sustainable bottled water storage racks from PSI. 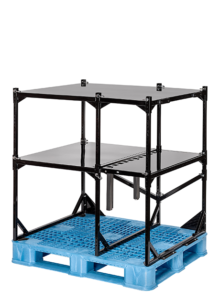 Constructed of injection-molded, high-density polyethylene, ProStack racks are engineered to better protect your bottles, your trucks and your facilities. You lose less in replacing damaged product, repairing damaged trucks and maintaining a worn facility. And because they’re more durable than other racks, they do more–and do it longer. If you’ve been searching for the perfect 5-gallon water jug rack for your organization, turn to the experts at PSI. 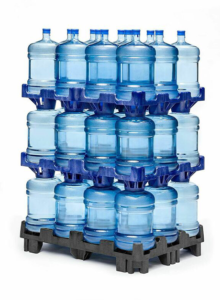 We can offer our line of existing stackable bottled water racks, or we can help with a customized solution that is tailored to your specific needs. Learn more about The Facts About Water. 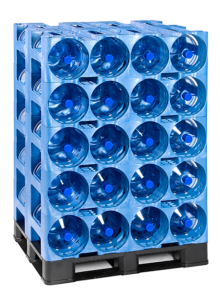 At PSI, we serve as the world leader in stackable bottled water racks and other packaging products. The common thread through these products is their quality, durability and sustainability. We work with plant and procurement professionals to gain an understanding of the unique needs they experience, and then we pair those unique needs with the perfect plastic bottled water rack. When you want the best solution that will help save your company money and protect the environment, PSI is here with the experience, knowledge, resources and products needed to help you become more efficient and profitable. Contact us today and learn more about your plastic bottled water rack options.